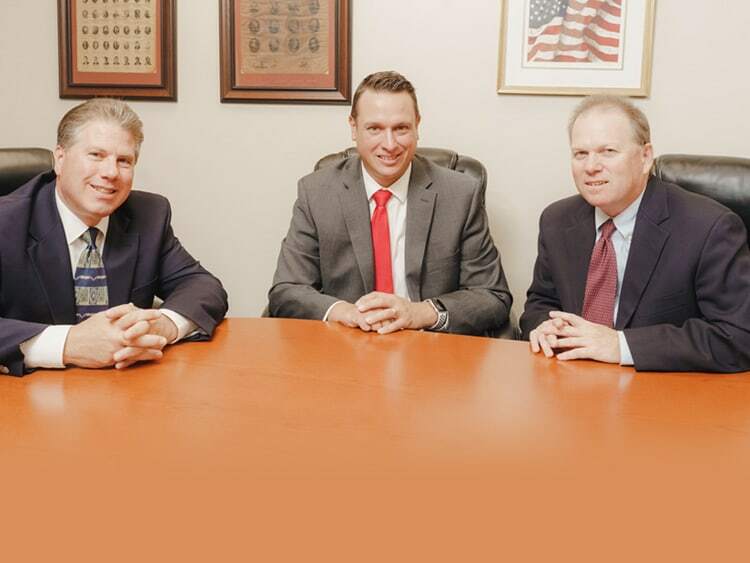 Long Term Disability Insurance Lawyer Blog — Published by Long Term Disability Insurance Attorneys — Serafini, Michalowski, Derkacz & Associates, P.C. Published on: January 21, 2019 | Serafini, Michalowski, Derkacz & Associates, P.C. SMDA recently obtained a reversal of CIGNA’s decision denying Long Term disability Insurance Benefits to a Henry Ford Hospital employee. As a result of our comprehensive administrative appeal CIGNA (aka Life insurance Company of North America) overturned its decision denying our client’s claim for benefits. Our client suffered from a number of conditions including Type 2 Diabetes Mellitus, Neuropathy, Asthma, COPD, Arthritis, and carpal tunnel syndrome. We convinced CIGNA to reinstate the disability insurance benefits even under the more stringent “any Occupation” definition of disability. Published on: January 14, 2019 | Serafini, Michalowski, Derkacz & Associates, P.C. Basically, the court agreed with Aetna that because of how the plan defined “Own Occupation” the disability insurance company could just ignore the claimant’s actual job duties for her employer. This is a good example of why it can be critically important to understand how the insurer may attempt to re-characterize your occupational duties in a Long Term Disability Insurance claim. Published on: January 7, 2019 | Serafini, Michalowski, Derkacz & Associates, P.C. It can be confusing trying to figure out the amount of Long Term Disability Insurance benefits the insurance company should pay. Here is a brief outline of how the amount is commonly determined. Published on: December 20, 2018 | Serafini, Michalowski, Derkacz & Associates, P.C. The team at SMDA recently obtained a favorable administrative decision reversing Cigna’s (Life Insurance Company of North America) decision denying disability insurance benefits for a Registered Nurse who had been disabled by her treating physicians as a result of her significant orthopedic (back and shoulder) problems. The original denial was based primarily on the fact that the claimant was neurologically intact with normal strength and reflexes indicated in the treating medical records. SMDA prepared a comprehensive administrative appeal including disability statements from the client and her treating physicians, medical records and peer reviewed medical journal articles. We were able to establish that an individual with normal strength and reflexes may still suffer from disabling pain which interferes with their ability to perform the material and substantial duties of their occupation as a Registered Nurse. The disability insurance company overturned the denial decision retroactively reinstating the disability benefits and placing the client back on claim. Published on: August 31, 2017 | Serafini, Michalowski, Derkacz & Associates, P.C. SMDA recently convinced LTD insurer Cigna to overturn its claims denial decision for a registered nurse who developed significant low back pain that prevented her from performing her own occupation. Our client had degenerative disc disease that had progressed over the years eventually leaving her unable to work. Cigna initially denied her claim finding she was not disabled. SMDA filed a comprehensive administrative appeal which established that the functional limitations the client experienced made it impossible for her to perform the material duties of her own occupation. Cigna overturned the claims denial decision and agreed to retroactively reinstate her LTD benefits and put her back on claim. Published on: June 28, 2017 | Serafini, Michalowski, Derkacz & Associates, P.C. SMDA recently convinced Cigna (Life Insurance Company of North America) to overturn a claims denial decision for an individual who is suffering from significant cognitive deficits as the result of some as yet undiagnosed condition. SMDA prepared a comprehensive administrative appeal of the claims denial decision including neuropsychiatric testing which demonstrated significant deficits in various cognitive domains which clearly preclude the insured/client from performing the duties of his own (or frankly any occupation). We applaud Cigna for making the right decision on this claim and reinstating our clients Long Term Disability benefits. Published on: March 3, 2017 | Serafini, Michalowski, Derkacz & Associates, P.C. Almost every Long Term Disability Insurance Policy I have ever reviewed contains a limited period (usually 24 months) of time that it will pay benefits if a claimant is unable to perform the duties of his/her “Own” (see prior post on how “Own” occupation is misleading) occupation. The plans most commonly contain a change in the definition of disability from “Own”occupation to “Any” occupation after the 24 month period runs. So, after 24 months the claimant must be able to establish that they are unable to perform the duties of “Any” occupation in order to continue to receive benefits. A few caveats-there is also usually a qualifier for “Any” occupation that the claimant may be qualified to perform the identified occupation by education, training or experience. There is also usually an earnings qualified that the identified “Any” occupation must usually pay some percentage (commonly 60 or 80%) of the claimants “Own” occupation. We see many claims where the Long Term Disability insurer refuses payment past the 24 month “Own” occupation period by identifying some less demanding occupation it asserts the claimant can perform. Published on: November 15, 2016 | Serafini, Michalowski, Derkacz & Associates, P.C. Despite the fact that her employer would not allow her to return to work if she was unable to stand for extended periods of time, Lincoln’s in-house vocational consultant determined that her Occupation was best defined as a Project Planner. Lincoln then denied her claim for benefits finding that her “Own Occupation” could be performed sitting most of the time at some other employer. Since she had already exhausted her administrative remedies we were unable to offer any evidence to supplement the record. This is a classic example of the difficulty with LTD claims. The insurers policy language allows them to disregard the actual duties of a claimant’s own job in favor of some imaginary “collective description of related jobs” which, in effect, turns logic on its head. Even though your own employer specifically says you must be able to stand for 80% of the day, Lincoln says “your occupation” can be performed sitting most of the time. Published on: October 19, 2016 | Serafini, Michalowski, Derkacz & Associates, P.C. In this recent case out of Louisiana the court rejected Cigna’s (Life Insurance Company of North America) efforts to deny a claim by a man who was permanently paralyzed and wheelchair bound. The claimant, Mr. Hughes, had been employed as an electrician when he was forced to stop working as a result of his paralysis. While Cigna initally approved his claim for LTD benefits in 1999, what followed was very troubling. Despite the fact that he was permanently paralyzed and wheelchair bound, Cigna denied his claim for benefits on at least 4 different occasions. The last denial because he “failed to provide requested documentation.” After the last denial Mr. Hughes failed to file an administrative appeal within 180 days as the denial letter advised. When he finally did appeal, Cigna denied the appeal as untimely.